So as most of you can see I have not been around DA very often. I've kinda abandoned this account and only check it once every few months. I used to check it every day. Now that I have a steady flow of orders coming in I decided to make a commission info Journal for anyone interested in commissioning me for plushies. -Plushies can take anywhere from 1-8 weeks to be completed depending upon complexity of the design. -I try to work in the order of my commission list, but sometimes I may deviate a little. -If there is a deadline you want it by PLEASE LET ME KNOW via message! These are base prices per character to use as guidelines for my rates. However, each commission will be priced on a case by case basis. Please contact me with the details and I will provide you with a personalized quote. please note: I'm willing to make giant or life-size plushies, but keep in mind such production and shipping are costly. Expect $150 for shipping for plushies over 4 foot tall/long. Ordering something I've already made, as long as its a small or medium plush, means you don't have to wait in line on the waitlist. You must contact me so we can work out an arrangement. Designing custom patterns are time consuming, however productions with existing patterns are considerably faster. Yes I will be at Colossalcon this weekend! I'm super looking forward to it cuz its on my birthday and I get to see everyone!!!! Just a crazy prep for it in the last couple of weeks cuz we made some super changes! Lots of cosplay pics hopefully will come out of it!!! Online Plush Store Now OPEN!!!! I have also opened up some listings on Etsy! You can buy the mane six or Pabu at the moment. If there is one that is not listed on there let me know!!! I practically didn't leave my booth, and if i did it was only for a short time. And i wish i could've get more photos of the cosplays i brought. Runaways group was a complete bust but i'm hoping it will be together at colossal. 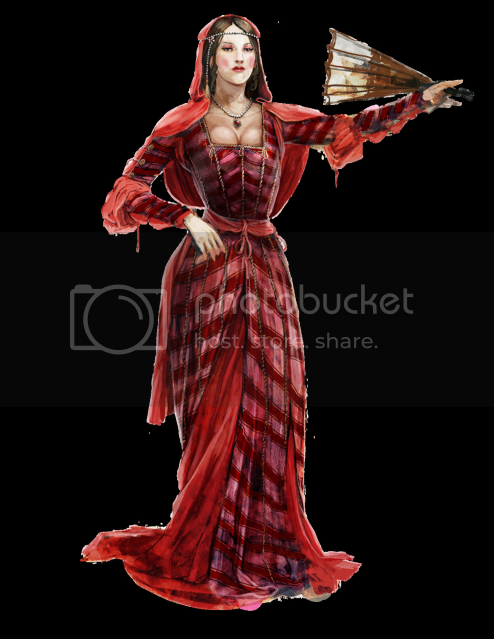 Still, it was fun to bring Old Lace. And I got to break away from the booth a little bit to run around the AA with my dearest friend ! At Acen, these three ponies were asked about the most of my inventory. 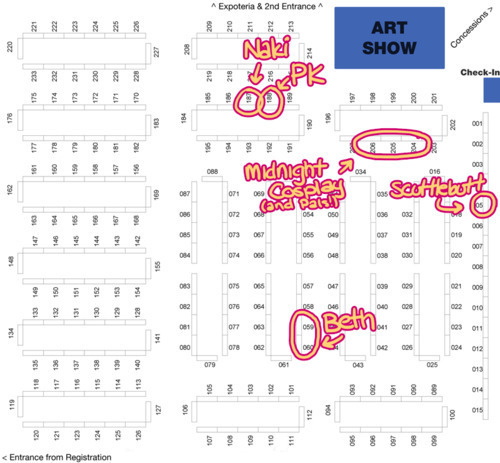 Soooooo, I'm going to try to add them to my inventory for Otakon 2012 Artist Alley!!! Each of these guys will be at $50 each just like the rest of the ponies minus the princesses. So sorry I'm terrible at updating!!! I always forget! Well Otakon was a BLAST! Debuted a lot of the costumes I had, as well as FINALLY winning an award for Terra!!! I kept getting honorable mentions or some lower sort of award and I was craving that win for her with the amount of work i put in it!!! And it turned out to be OTAKON of all places! I was ecstatic. I'm thinking of submitting FemLink and Serenity to the Cosplay contest. Depends on what i can finish on time. I can't believe its that time! Whoever can snag this I'll do something a little special for them. Probably a feature in my journal, a drawing, or special photo request of one of my cosplays. Sorry I haven't been active lately. I've been breaking my back the last couple of weeks. This last month i've been to 3 conventions!!! I've doubled my going rate for the year, I'll probably cut down it back down again next year. I'm so tired lol. 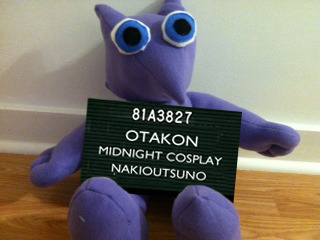 Otakon is a big one i'm looking forward to. yays. Soon tho, we have a bunch of photoshoots planned for all the new cosplays. Thanks to everyone who watches and supports me, i love you all. New Con Season Means New Cosplay! ACEN edition! Things are a bit better. Everyone who supports my work I love very much, I have a very cute fuzzy puppy at home awaiting my return, and I think the concept of friday helps. Thank god its friday...or close XD since i'm still at work. Down to some business. ACEN! Who is going? What are you wearing? And have big plans? I don't know if you all know this but I make AMVs!!! Whenever i have time. I've won quite a few awards but just recently i noticed something that made me post on here. My top rated/viewed video has hit over a thousand favorites!!!! It makes me so happy and i love everyone that watches and supports me. !!! On a different note, I'm putting EVERYTHING on hold until this semester is over. This is my last one and i'm trying to desperately finish. Only one month left. 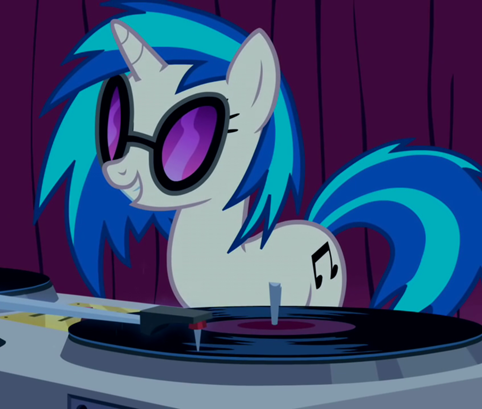 After that i plan on having some major cosplay and amv work done all around. So i'm ripping apart serenity since the majority of you said i should go for it. I'm REALLY going for it, the dress is now 100 inches long. I thought, "if i'm going doing it, i might as well go the whole nine yards" lol. It's A LOT of sewing. i mean A LOT. And my poor little machine is so slow. And i still have to finish Terra and a Mog plushie. So i'm sorry if i can't get to all your comments, i've been very busy lately. This is my last semester of school and its been clogging up all my time. I'm still taking commission but please let the deadline be AFTER December after i've graduated from college. 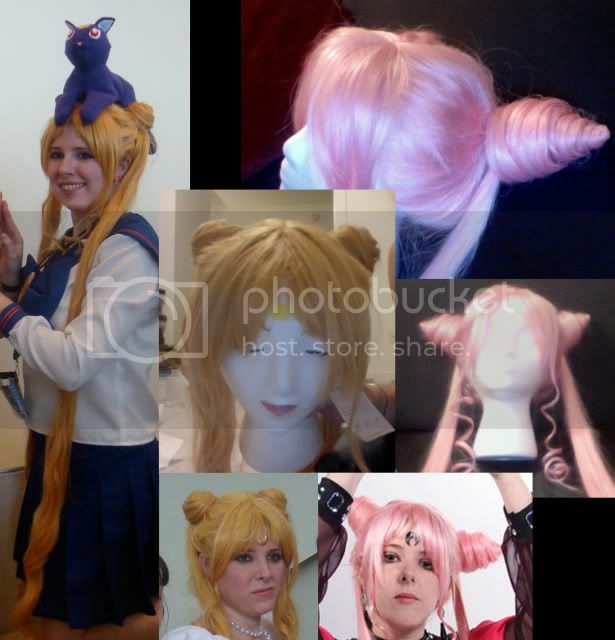 I am not limiting myself to just sailor moon wigs. I'll take on other commission work as well. Well, Otakon was a success! I only had time to walk around in cosplay. Didn't really have time to go to any panels. Didn't really mingle a lot in the dealer's room. I will try to get some more pics of my new outfits i brought to otakon. I also made my little luna for usagi. This trip made me realize i will open shop when it comes to making costumes and props. Please let me know if you are interested. I'm a college student that could use the money. Show me what you want to be done and we can talk price point. If any of you all are going to be there. 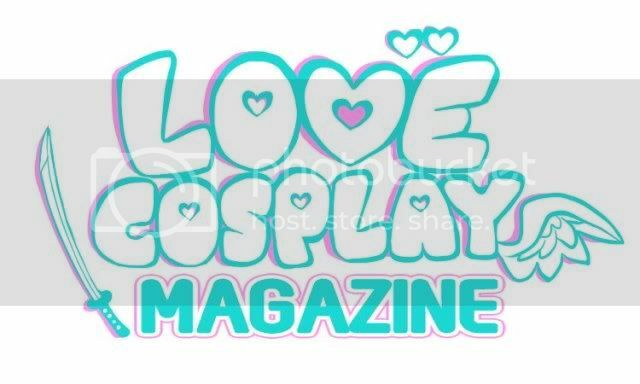 be sure to look for usagi, princess serenity and black lady/possible adult chibiusa. 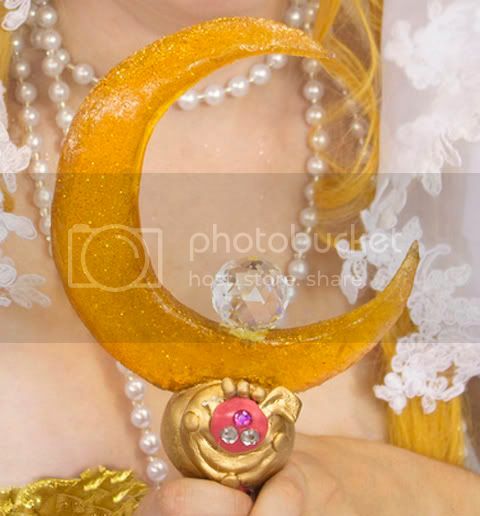 All sailor moon related cosplays too! May 15, 2012 Online Plush Store Now OPEN!!!! Jul 22, 2011 Otakon!!! And Photo-Op for all cosplayers! Jul 12, 2011 20K Kiriban!!! Apr 29, 2011 New Con Season Means New Cosplay! ACEN edition! Dec 17, 2010 And I RETURN!